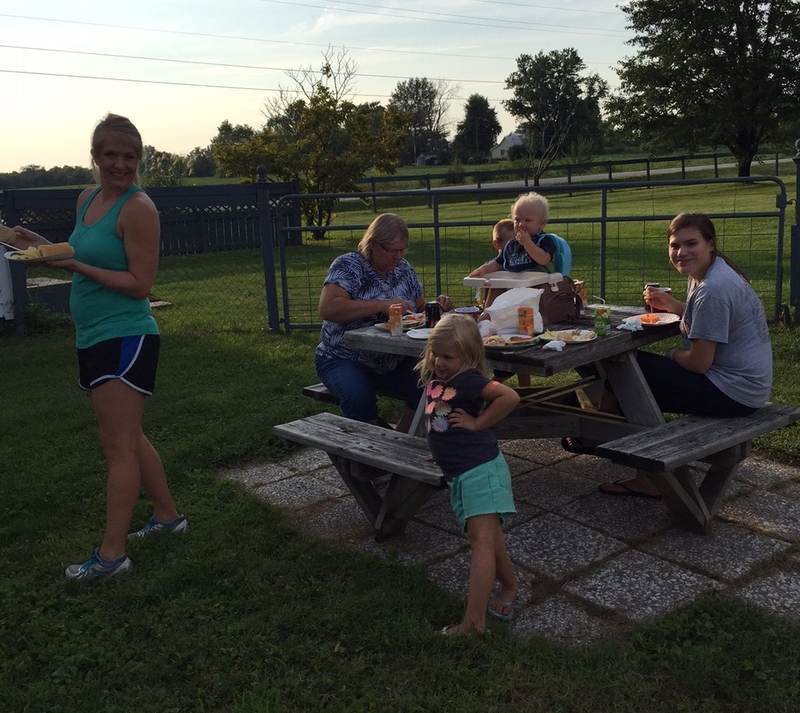 This past weekend, we got a ton accomplished! 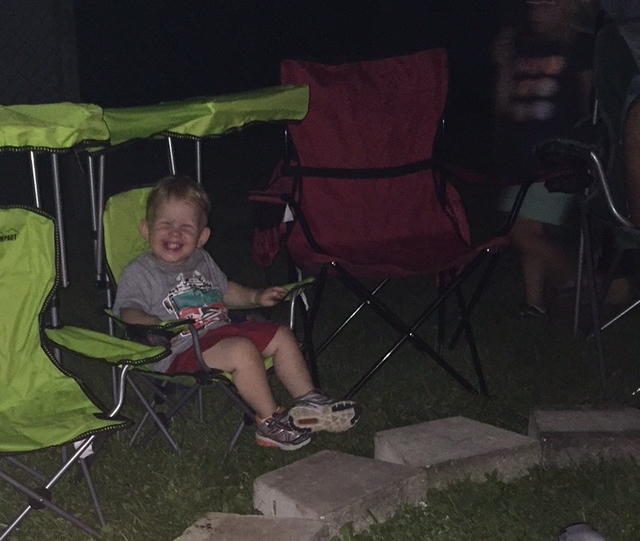 Thanks to our awesome family, they helped us make it where we could move in 2 days after closing. We still have a long ways to go, but we all have a bed to sleep in and a hot shower. The rest we will just take day by day, and project by project. 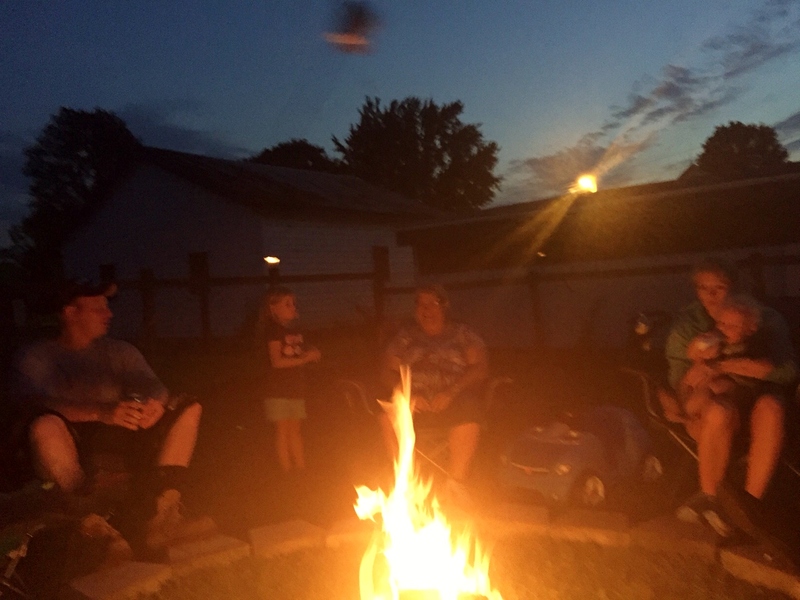 We started our weekend off by having a big celebration with the family. 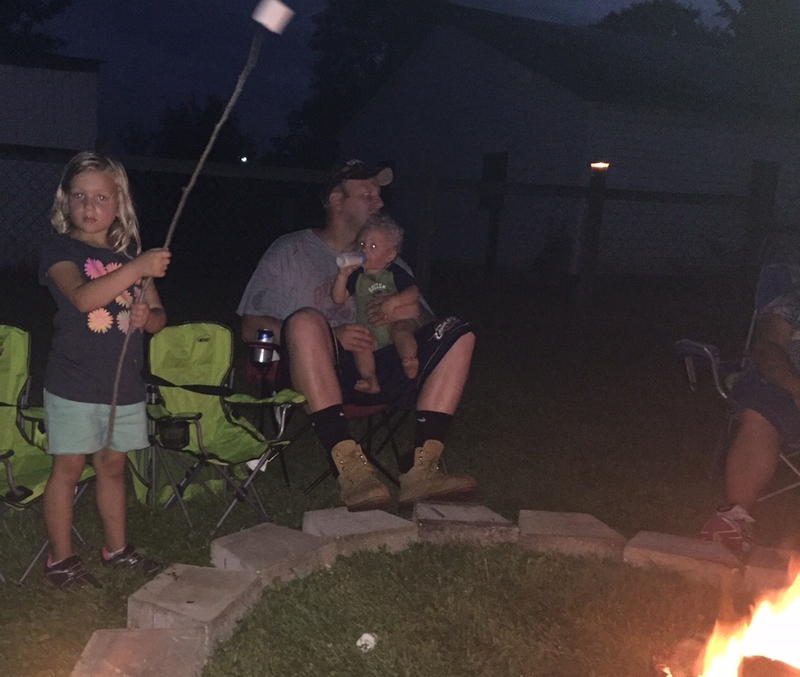 We had our first fire, complete with Smores. We had an impromptu moment to see how easy it was going to be taking down the wall paper in my daughter’s room. What we discovered was 6 layers, going in the order of wallpaper, pink paint, yellow paint, wallpaper, wallpaper, wallpaper, and then the old plaster wall. So, we have been pondering all weekend what our options are to get the walls to where we can actually paint them. 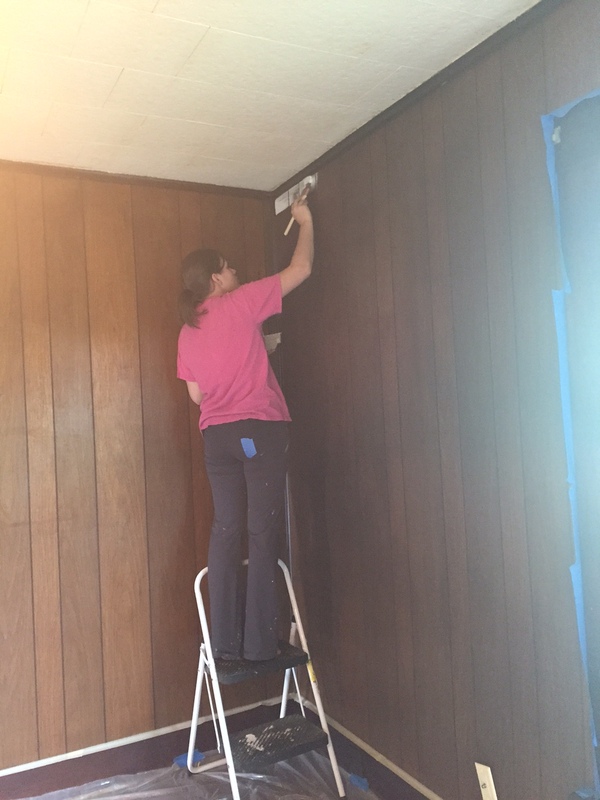 Saturday, we focused on getting the kids playroom and master bedroom painted, wallpaper out of the bathroom, and carpet up from the upstairs. 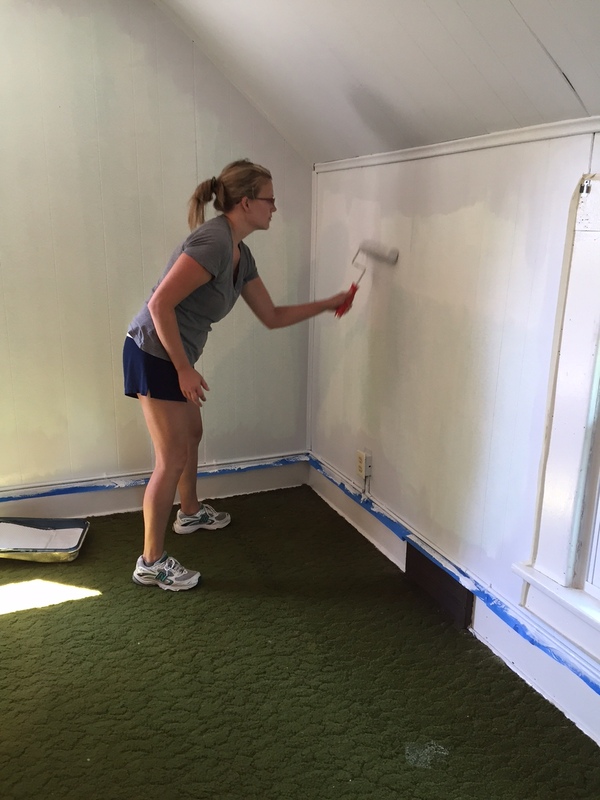 My sister had the honor of putting the first brush stroke of primer on the playroom. 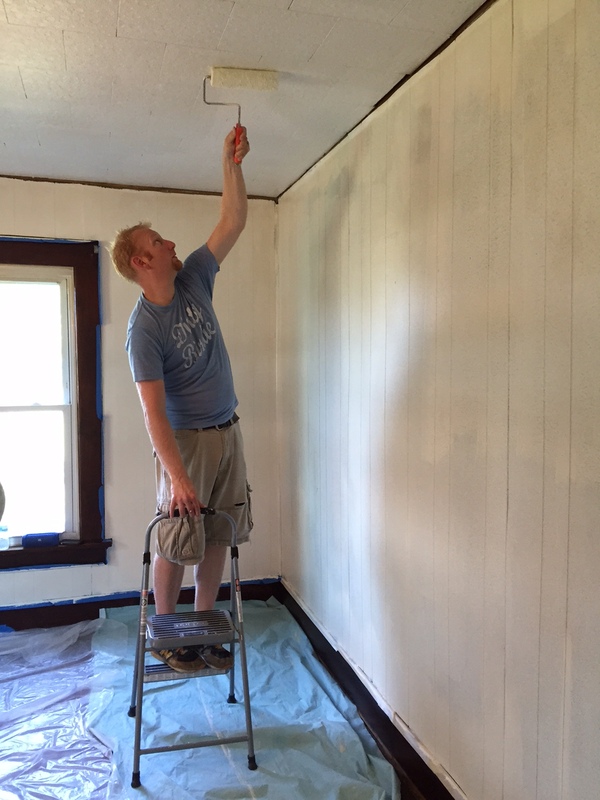 This room took a coat of primer and 2 coats of paint. It is amazing how large this room looks, just by lightening it up. Between Ryan and 2 of my brother in laws, both the playroom and master bedroom had the ceilings painted to help take away the yellowish tent. 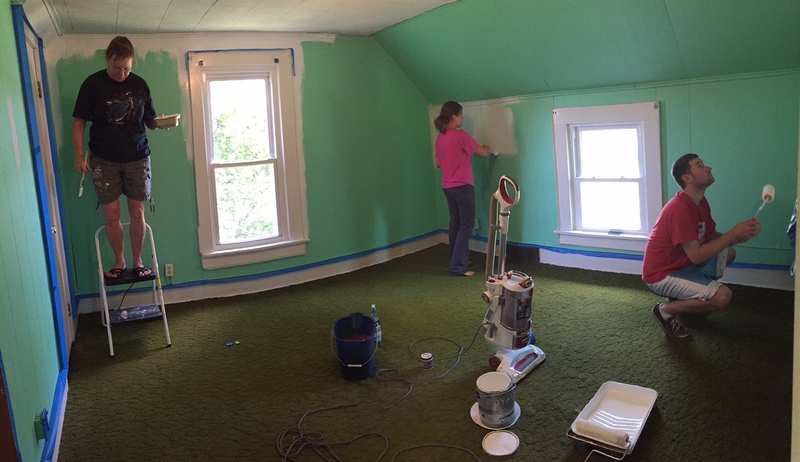 The master bedroom had green carpet and turquoise/green walls. 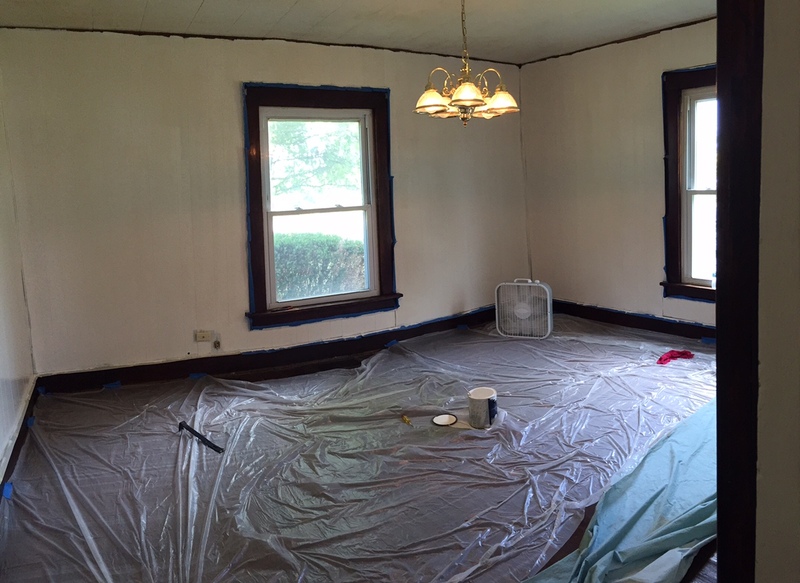 The room was primed and painted. 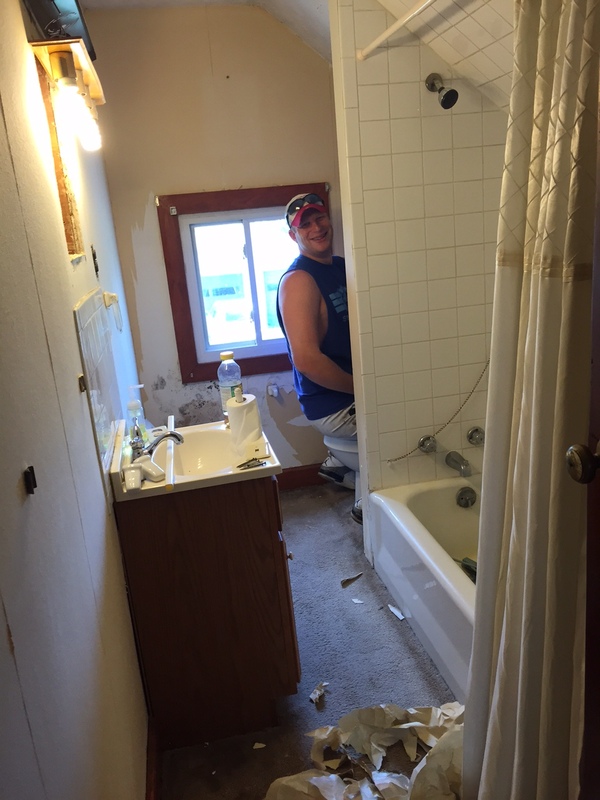 The other 2 projects we had going on Saturday, was removing the wallpaper in the bathroom, and taking out the carpet in the loft, bathroom and hallway. Thankfully the wallpaper in the bathroom came off super easy, and the walls just need some small repair and a coat or two of paint. 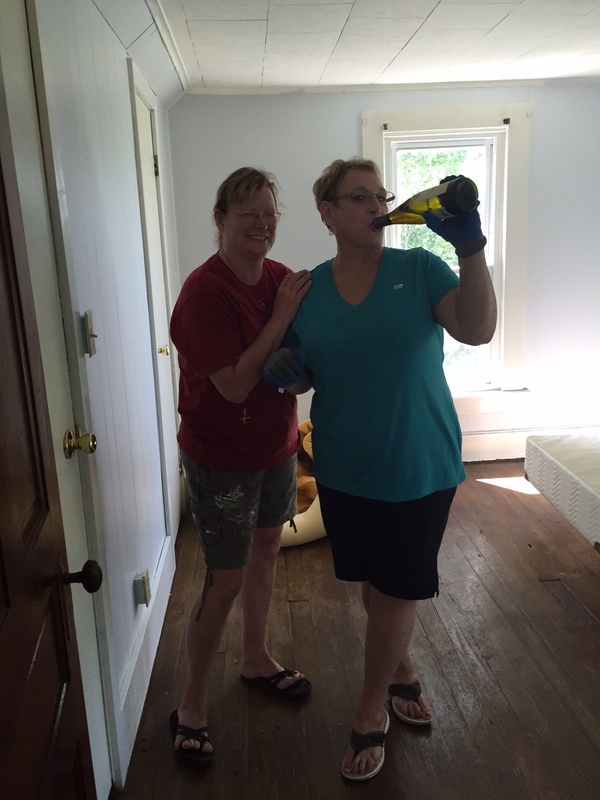 We let the paint dry overnight in the master bedroom, and first thing Sunday morning the carpet was removed. 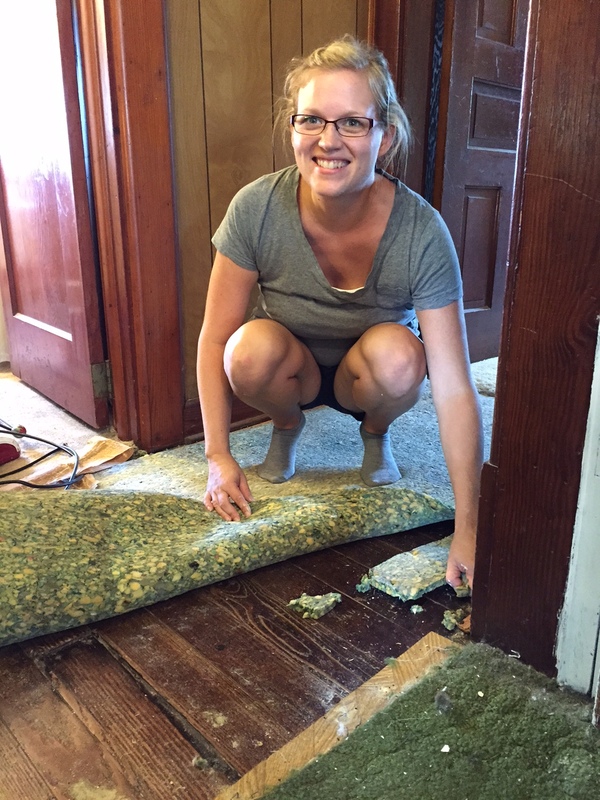 The carpet removal had a few surprises along the way. The previous day when taking out the hallway carpet, It appeared the hardwood under the carpet was covered by a “wood” vinyl. 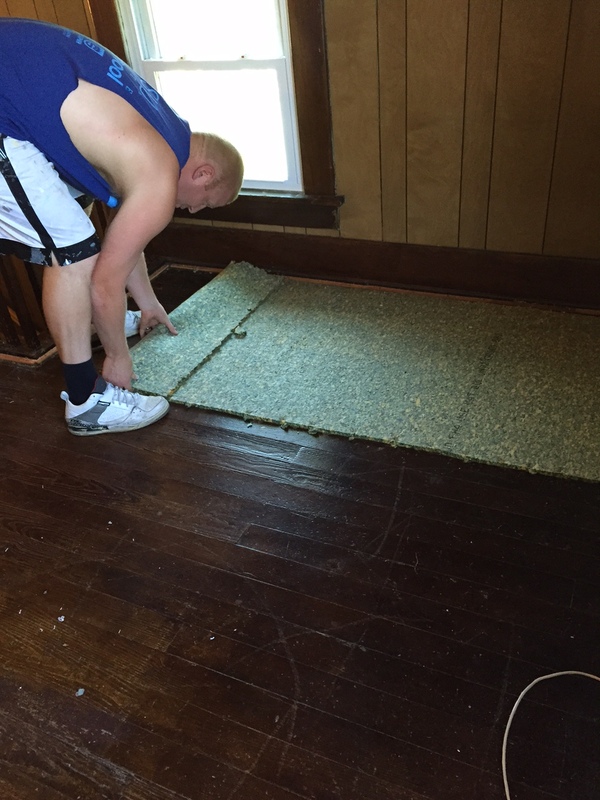 However, when my brother in law and I started to lift the carpet it revealed a completely different flooring. It was a patterned vinyl, and we discovered newspaper under the vinyl from 1962, so we figured that was when it was laid. Near the doorway was a piece of carpet that was stapled down, and my brother in law was very puzzled why it was this way. My mom spent over an hour removing all the staples and nails. 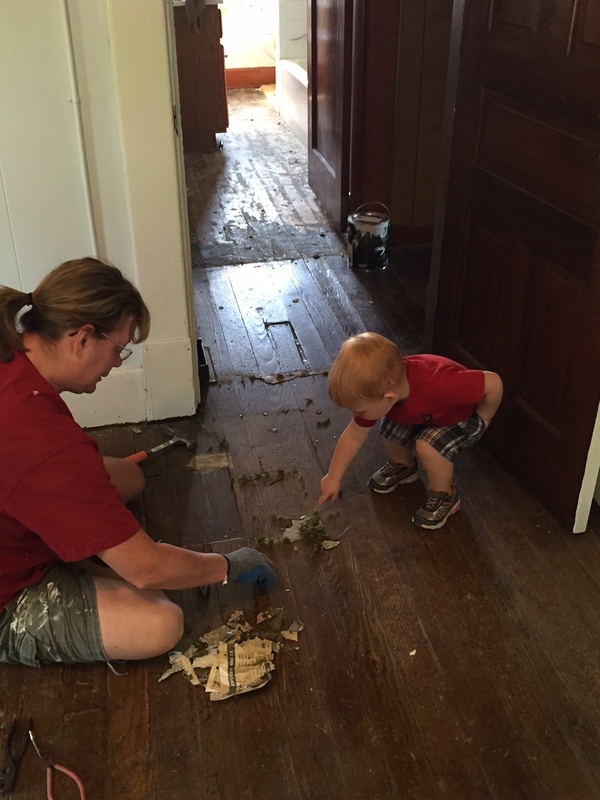 Here is RJ guiding my mom, and showing her how to get them out. 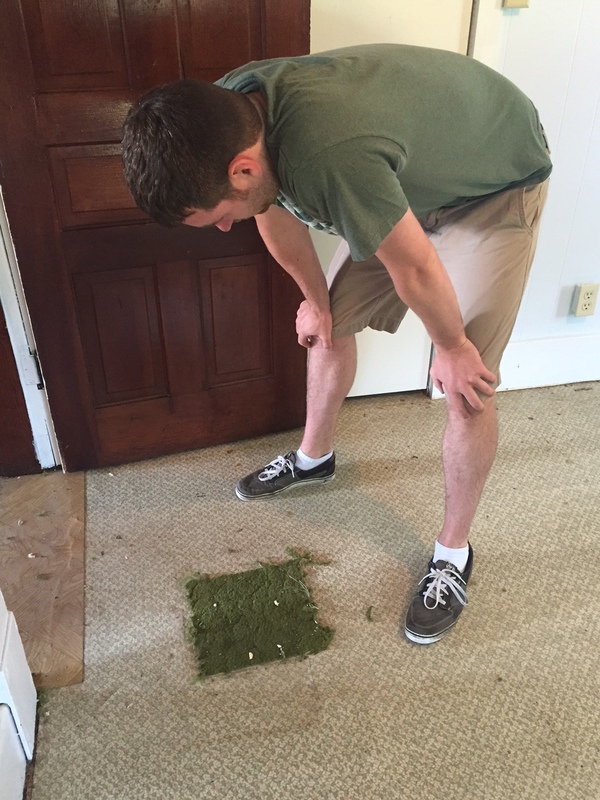 After the area was removed, we figured out that the air vent had originally been in this spot. In the middle of the floor was a red patch on the vinyl, that to be honest I was scared to take back. Under the red cloth, was just a poor patch job in the hardwood. My mom was convinced it had money hidden under it. So, my father in law popped the nails out and we opened it up. All we found was 100+ years of old dust. We spent the rest of Sunday cleaning the floors and putting beds together, so we would have a place to crash. 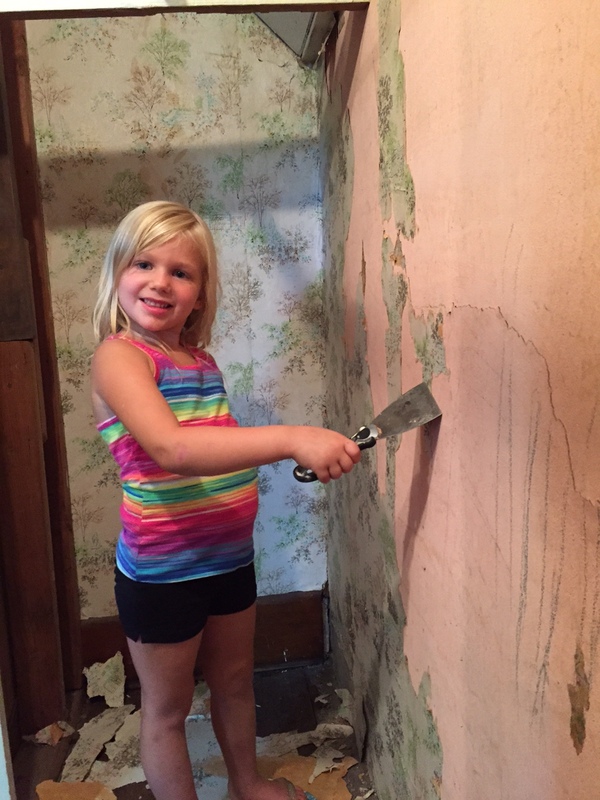 Aubrey also decided she wanted to help start prepping our closet walls, by removing the vintage wallpaper. She didn’t get very far, but it is the thought that counts. To end the day my mom and my mother in law decided that they needed to celebrate a job well done, by drinking a bottle of wine! We have only made a small dent this weekend. 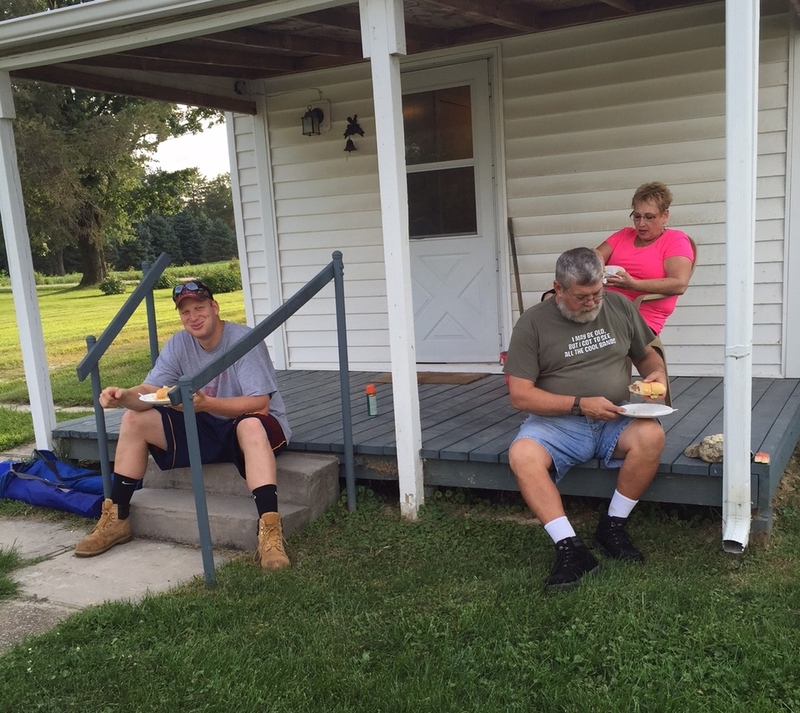 However, our family helped make our house livable, and we will continue to chip away at our long list of rehabbing this old farmhouse. Stay tuned!! Love the character of this home…. great doors, trim and love those wood floors!